OK. 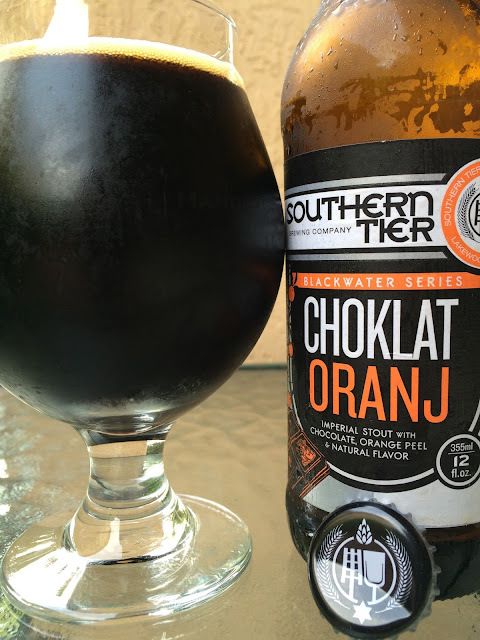 I've had Southern Tier's Choklat Imperial Stout. And it's awesome. Today I'm going to try Choklat Oranj, the same beer brewed with orange peels. This one came in a 4-pack for like $18 and my single bottle was a bomber-level price of $6. That's a little out of control, but OK, this time. I'm pretty sure those bombers still are $9, so this is basically a reverse #bomberboycott! There's an ingredients and stats section. 10.0% alcohol. DOB which I assume is date of bottling 3/17/16 though I'm not positive about that because half of the stamp didn't hit the label. Chocolate, cocoa, coffee aroma, more luxurious with a little warmth. Rich chocolate and light coffee and roasted malt flavors start. 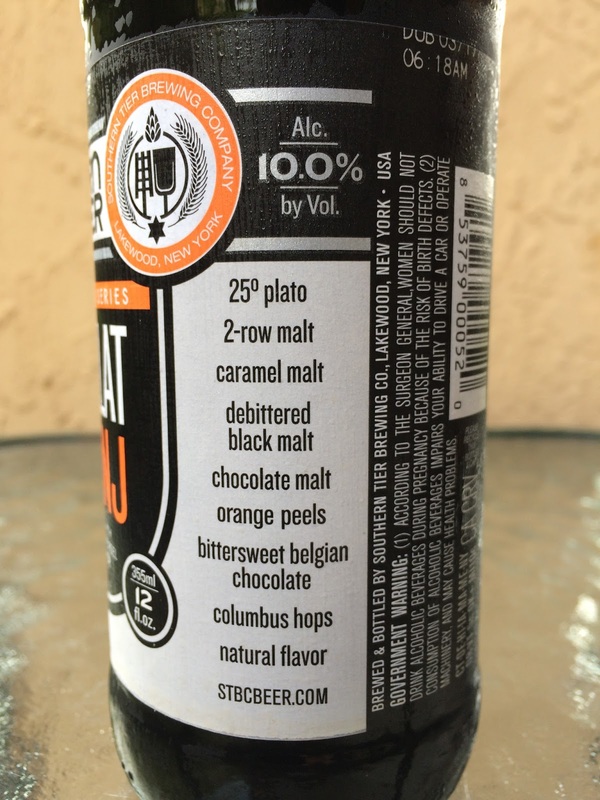 After a few sips, the orange flavor subtly builds. There is a distinct and sharp citric bitterness in the background, a nice interesting addition to the regular beer. Alcohol shows a little at the finish, though just fine. Definitely tasty, though way too expensive to compete with many equal or "awesomer" competitors. Never even heard of this brewery..